You are viewing a list of Jenny Slate's 1 appearance on Brooklyn Nine-Nine. 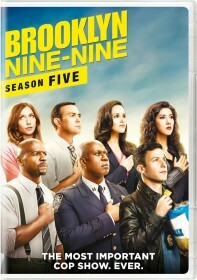 When Jake finishes his undercover FBI operation and returns to the Nine-Nine, he learns that one of the mobsters got away. Jake returns undercover with the help of Charles. Meanwhile, the squad creaks under the pressure when Holt tests them with repeated practice drills, without telling them why.